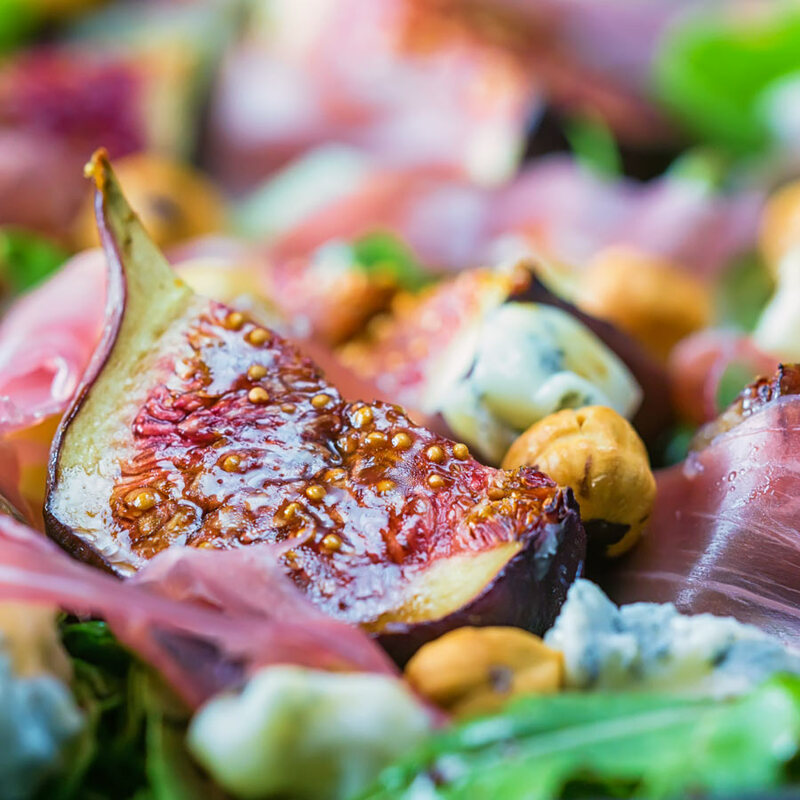 Figs are a gloriously diverse ingredient, my favourite way to eat them is in a roasted fig salad paired with wonderful blue cheese and hazelnuts! 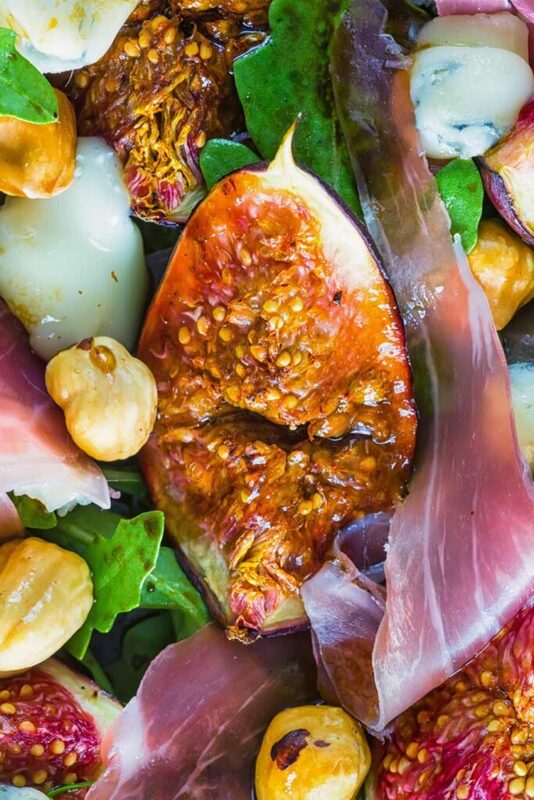 Figs are such a great ingredient and my favourite way to eat them is in a roasted fig salad. If you have been visiting me for a while you will know that I have a thing about using fruit in savoury salads. Whether it be pickled peaches in a ham salad or apples in a mackerel salad, it is definitely my thing. 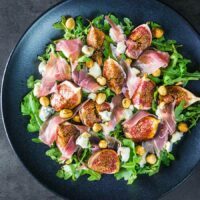 We are coming now to the close of summer and fig season is upon us… This salad is the perfect close of summer light meal and is super quick and packs a load of great flavour. The figs are roasted with just a little honey and some balsamic vinegar, this gives them a soft sweet and sour flavour. Now once you have sweet and sour you need something salty to pack home that savoury edge. This is no dessert fruit salad! Prosciutto ham is perfect for this it has the most wonderful savoury saltiness and is wafer thin so it will not dominate. 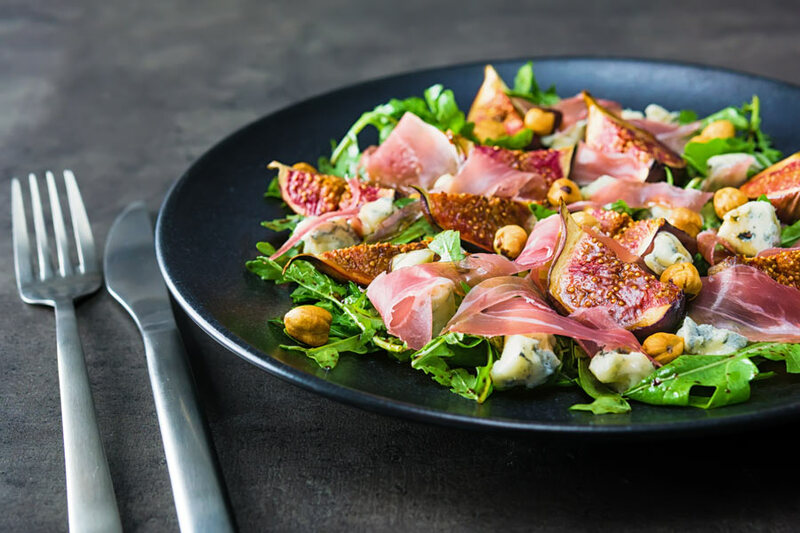 The hazelnuts in this fig salad recipe provide an earthiness which is mirrored by the Gorgonzola cheese. I use young buttery Gorgonzola for this but feel free to go with the really punchy aged Gorgonzola if that is your thing! Baked or roasted figs are really low maintenance and really tasty. It is nothing more than dropping them in a hot oven for between 15 and 30 minutes. For this roasted fig salad recipe, I wanted my figs to stay soft and juicy with the edges slightly sticky. So they get between 15 and 20 minutes. If you want your figs a little more firm and chewy then go the full hog and pus towards 30 minutes. I personally like to season my figs lightly when I roast them. It just helps to underline that savoury edge rather than pushing towards dessert. When using fruit or sweet elements in any savoury dish you need to be really careful with your seasoning. You need to add a much more savoury edge that you would without the sweet elements to ensure a nice balance. You can see my approach in both this Mango Smoked Mackerel Salad and this Blackberry Pork Chop Recipe. Figs are a strange old fruit, they are related to the Mulberry family and they have two seasons. One short season at the start of summer, keep your eyes open at the end of May for a month. Then a longer fruiting season from August through September. They are notoriously quick to ruin… Do not think you can leave them for long before using them! They will keep a little longer in the fridge. However, I personally think that has a detrimental impact on both the flavour and texture. 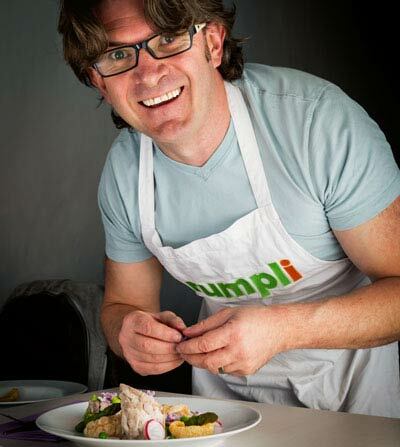 Do you have any favourite savoury fig recipes? Let me know in my comments, I’d love to try them! Mix together the honey and balsamic vinegar and heat in a pan until just before boiling point. Cut your figs into quarters and then give a scant seasoning with salt and pepper. Place in a roasting tin and then pour over the honey and balsamic mix. Place the hazelnuts in a separate tray. Put both of these trays in the oven and roast at 220C for 15 minutes, keeping an eye on the nuts ensuring that they do not burn. Whilst these are roasting crumble to cheese and tear the ham and pick the rocket. When roasted take out the figs and allow to cool a little and drain off the honey and balsamic mix. Whisk with the olive oil and allow to cool. Dress the rocket with the dressing and place on a plate interspersing with the remaining ingredients adding a final drizzle of the dressing before serving. 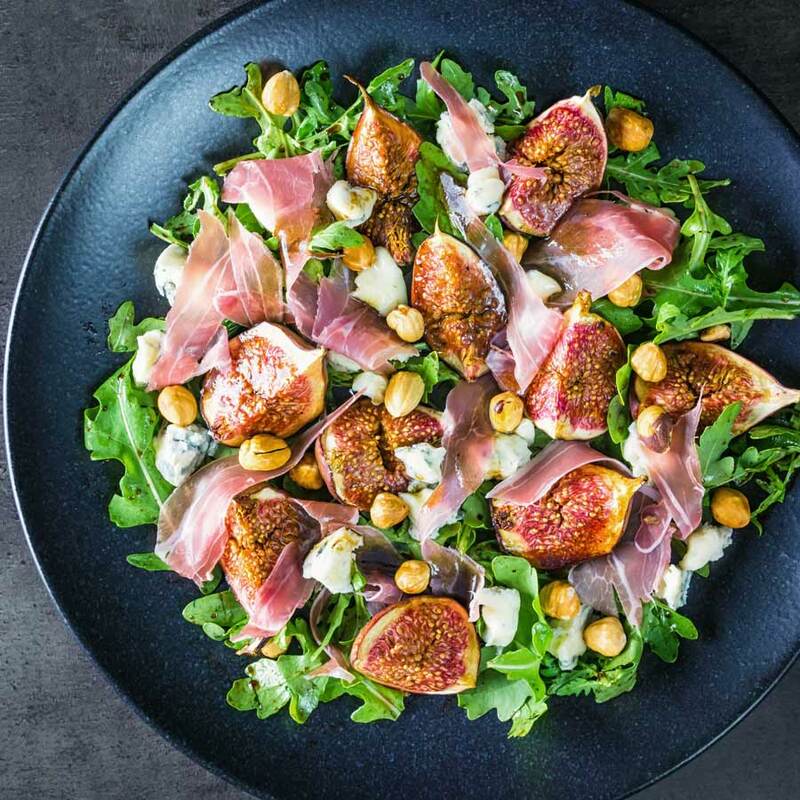 I love figs but I have never cooked them so I am excited to try this roasted fig salad. This is a great combination of flavors. 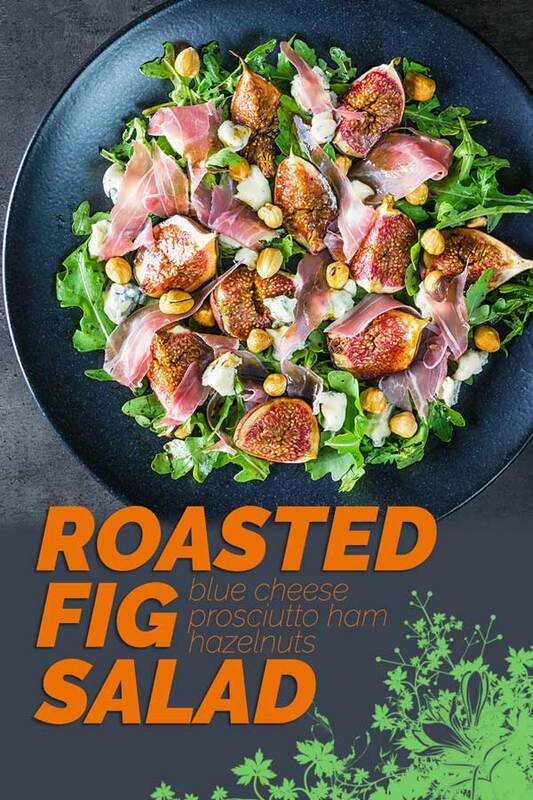 Good Morning, your Roasted Fig Salad With Blue Cheese looks wonderful. I happen to be a huge fan of anything with delicious figs in it! I actually have most of the ingredients on hand and should consider running to the market before lunch so my husband and I can enjoy this wonderful looking salad. Thanks Heidy… I hope you enjoy it as much as we do! Love all of the flavors in this salad! I’m a huge fig person and I love the idea of baking them and then adding them to the salad. Yum! I’m all about salads these days as it’s been too hot to cook. This dish is perfect and the figs really add a nice touch. I know how that feels, thanks Lisa! I was never a fan of figs until this weekend when I ate some amazing ones. So I am looking got different ways to use them now and this looks amazing.